Citycoco is not a specific product but rather an label placed on electric scooter with big wheels. It is most likely a chinease word that does not translate well into english. Especially the coco part. Most likely it does not refer to Cacao and Co can be translated in Can, approve, certainly, be worth and many other words. Maby it means cityscooter because that is what it is build for. Cruising in the city. The history if this scooter begins in Germany where a company named scrooser successfully funded their 120k$ kickstarter camping for an electric scooter. This was one of the coolest new toys since segway but they did not have the same resources so most people never heard of them. With a pricetag of about €5000 its no secret why no one has heard of them. Thats just too much for a cool toy and remember almost NO ONE actually bought a segway! Their success came from renting it out to renting places that usually carried bicycles. 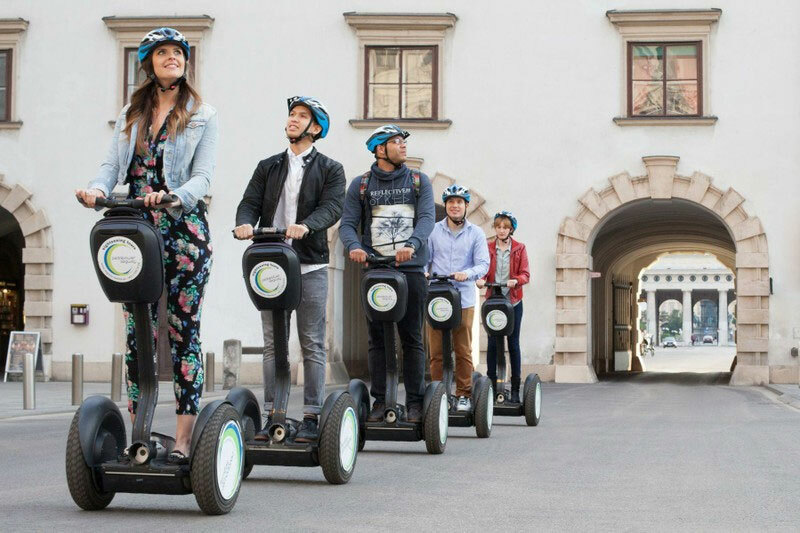 Segway is very fun to ride for a short time but using it for everyday travel is not that optimal. Other problems that made potential customers unsure was that it was not throttle controlled but rather you kick it and it amplifies your kicks. This is to make it semi legal like a pedelec. Most who actually had €5000 to spare and was ready to buy might have been put of by this odd choice of controlling the scooter speed. However they have since added a throttle control on later versions. One of the reasons its so expensive is the advanced impulse control they had to develop. The other thing is the battery. We heard that it was integrated into the wheel at first (might have been in an early prototype) but it’s actually in the foot board. It was originally a 48V20ah battery in the prototype but a 36V20ah battery in the commercial version. We cant find any images or any info about it but i believe they use LFP cells since they claim it can last over 500 cycles with no capacity loss. Scrooser is designed in germany with the best parts they could find but when it comes to steel frames you just cant manufacture them in small quantities anywhere but asia. And this is where we think the citycoco was born. Scrooser built their frames for the commercial version in china and the chinease manufacturers started making similar scooters with the same fram. Because the frame on the citycoco is identical in every curve to the scrooser original then many chinease citycoco exporters use images of the scrooser instead of their own product. 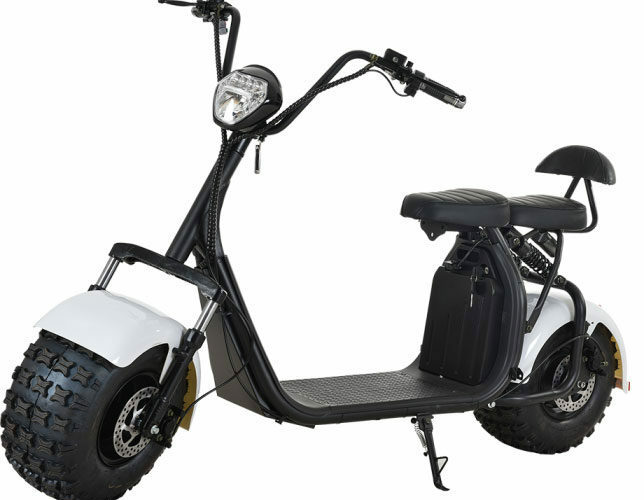 Of course the chinease version is much more simple and all the parts come from other electric scooters, ebikes and mopeds. The wheels are most likely sources from ATV parts and most other components are pretty basic. The first version actually had a 17S (71,4V full volt) battery while the second generation had a 16S (67.2V) system. The first version came out about fall 2015 and SSR Motorsports in USA started selling them as SEEV-800. Its a very basic version made to look identical to the scrooser original. Its with the odd 17S battery, charging port near the rear wheel and keyswitch near the trottle. Its basically just throttle, ignition and breaks. This is the more common version often refereed to as citycoco. It became popular worldwide during 2016 and has (optional) suspension in the front, a front light with ignition and a 16S battery, Color options was also increased with a 50 or so option for fender colors and prints. And upgraded version with redesigned rear part with suspension and passenger seat. But the real news is the removable battery. Other news is bluetooth speakers and alarm. There is also a new terrain tire option but that was mostly popular i Russia. This is a totally redesigned version where every single part is different! The only thing they have in common with citycoco is the footrest! However they are stilled called citycoco and have similar fat wheel, they are assembled and sold by pretty much the same sellers as the older version. Its also called caigiees. There is also a “baby” version with smaller wheels but i think its ugly as hell. As you probably have heard many refer to them as harley scooters and this has spawned a number of harley looking versions with the front part looking like a motorcycle. It you did not find the baby version ugly enough you can also get it with 3 wheels! Wait! There is more! Why dont you bring your newborn baby along! Of you golfclubs! Or your surfboard! This has really gotten out of controll! The biggest news for 2018 is the version with DUAL removable batteries! Yes it has an additional removable battery in the floorboard! They come in 2X12ah and 2x20ah!!!!! Some version also have a compartment under the rear seat and some other details. Let you know more when i know more. Posted in Citycoco•Leave a Comment on What is a citycoco (城市可可)?